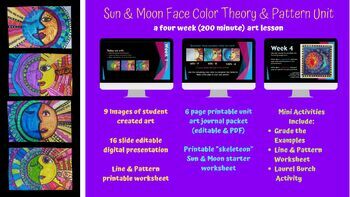 This lesson is appropriate for third grade to sixth grade students and can be used in the art room or just for fun! 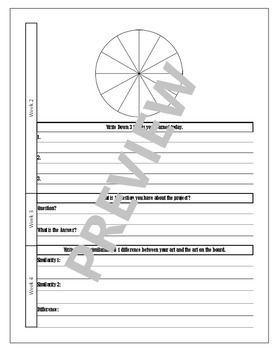 The unit journal has a lot of areas for students to respond and write. 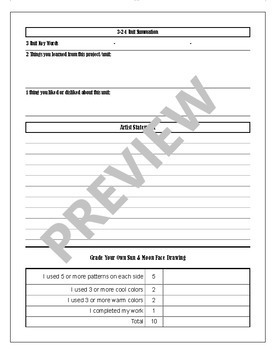 There is peer review, unit objectives, vocabulary, a 3-2-1 activity, self-reflection, and more! The assignment can be altered to fit your needs. Students can draw their own circle with sun rays and moon beams, or use the included skeleton. I have successfully taught this lesson to third grade for two years now. The "skeleton" is my own custom printable.